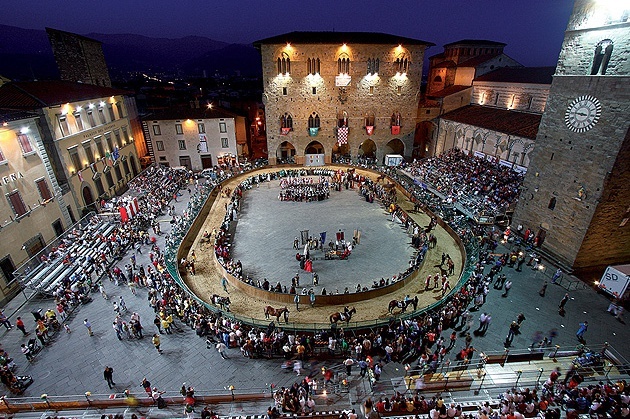 Pistoia, named Italy’s 2017 Capital of Culture, celebrates its patron saint, St Jacopo, on July 25th with its traditional Giostra dell’Orso (Joust of the Bear). This ceremony goes back hundreds of years to the 13th century when many towns, including Rome, Florence, Padova and Chieti would run the “palio dei barberi”, a race for jockeyless Barb horses. 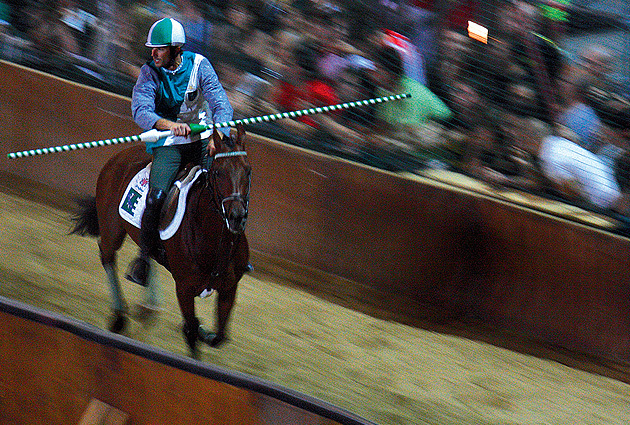 During the years the palio has undergone many changes, including the introduction in 1788 of a round racecourse. 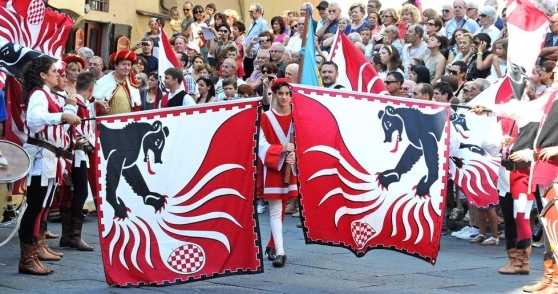 The tournament was interrupted during World War I only to be resumed in 1947 when the name was changed into today’s Giostra dell’Orso in honour of the town’s heraldic symbol. 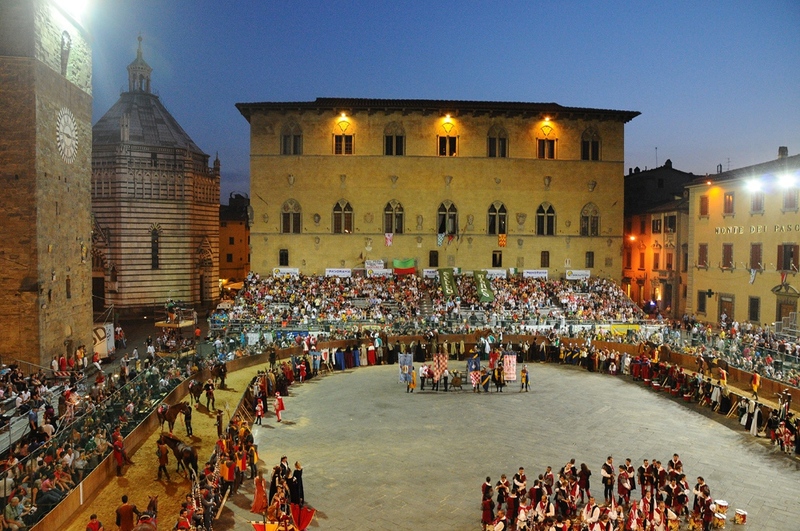 Traditionally the Palio dell’Orso is held at 9.30 pm in Piazza del Duomo, the Cathedral’s square, following an historical pageant. The four quarters of town participate with three ‘knights’ each. These are Cervo Bianco (White Deer, colours green and white), Drago (Dragon, colours red and green), Grifone (Gryphon, colours white and red) and Leon d’Oro (Golden Lion, colours gold and red). 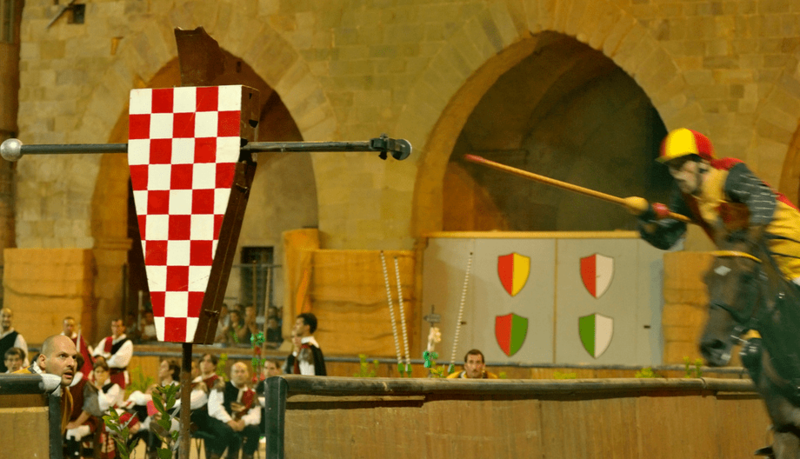 The palio consists of eighteen rounds, which are drawn and decided on the morning of the 25th, during which the knights compete two by two in taking down a bear-shaped target with the help of a spear. The score is thus awarded: three points for the first one to reach the target and succeeds in knocking it down, two points for the second reaching and knocking down the bear and zero points if the bear isn’t hit. Obviously the quarter with more points wins the tournament but there is also a prize for the best ‘knight’, the golden spur. Questa voce è stata pubblicata in Events in Pistoia, Folklore in Tuscany, Pistoia, Tuscan lifestyle, Tuscan towns and cities, Tuscan traditions e contrassegnata con Capital of Culture, Capital of Culture 2017, Giostra dell’Orso. Contrassegna il permalink.